… and all manner of things. Aunty has gone away with the girls for the weekend, the sun was shining and the outdoors was calling. So with Grandad as company it was down to Newport Wetlands for a mooch around. The sun was shining brightly when we left home in the allies, but as we got over Caerphilly mountain we hit the fog. It was even heavier by the time we arrived at Goldcliff, so we moved on quickly for a cup of coffee at the RSPB cafe at Newport Wetlands. By this time the sun was beginning to come out. Not many birds around, but we were tease by the reed warblers cackling away, hidden but never showing themselves. Their call reminds we a little of polystyrene rubbing together. 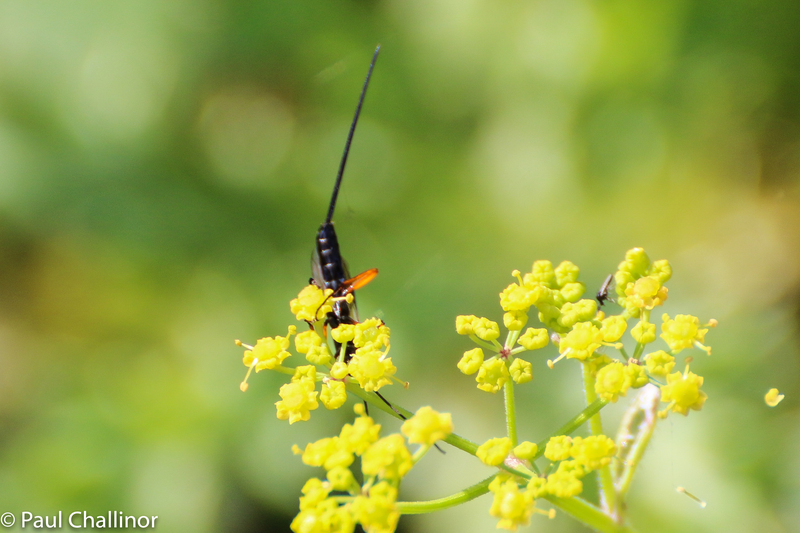 Not many birds, but the insects showed up well. And then it was back home to watch the rugby. 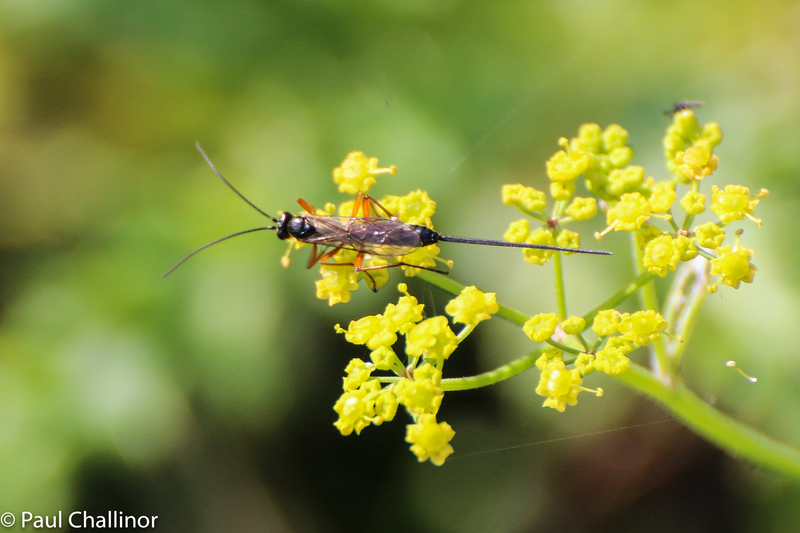 Ichneumon wasp. Unfortunately no idea which species. 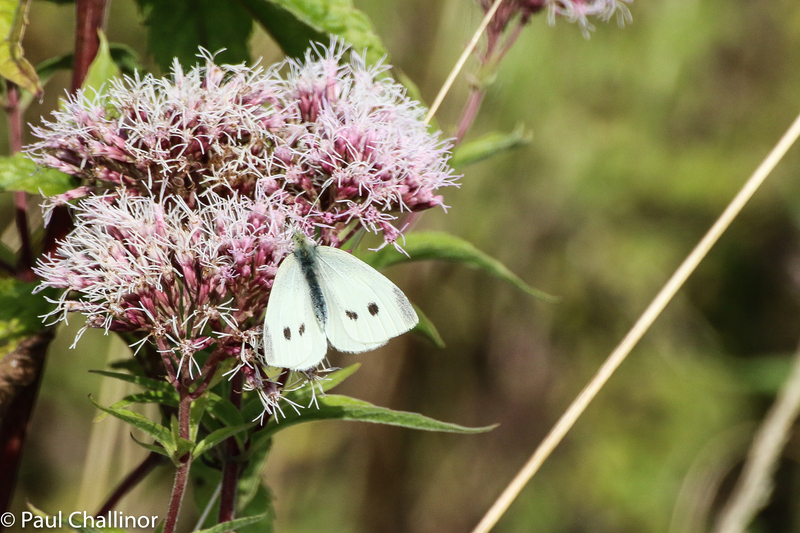 Small White butterfly, there were quite a few around, and we were briefly buzzed by a Brimestone butterfly as well, but he didn’t oblige us with a photo, mores the shame. 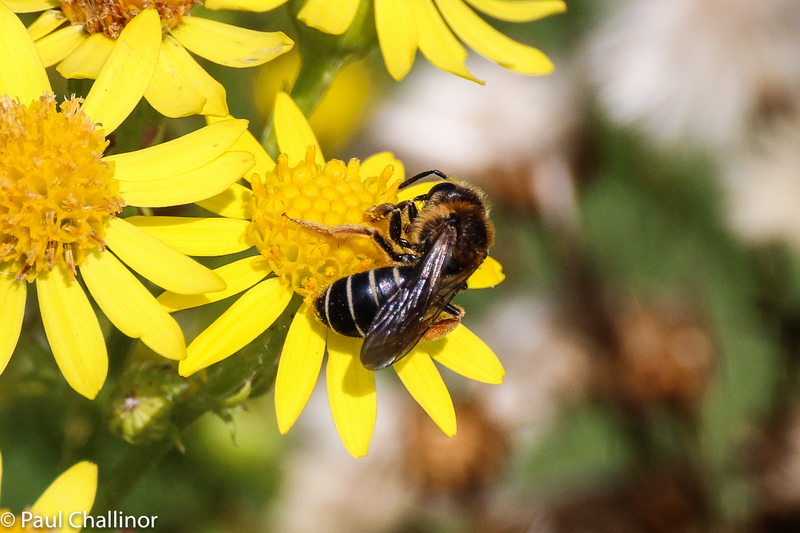 Halictus rubicundus, otherwise known as Polymorphic Sweat Bee. 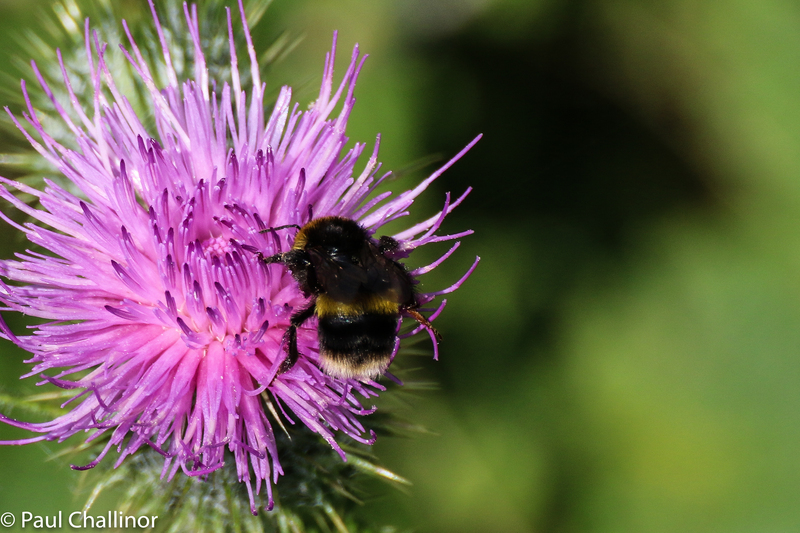 Either Bombus terrestrial, Buff Tailed Bumble Bee or Bombus Leucorum, White Tailed Bumble Bee. I can never tell them apart. 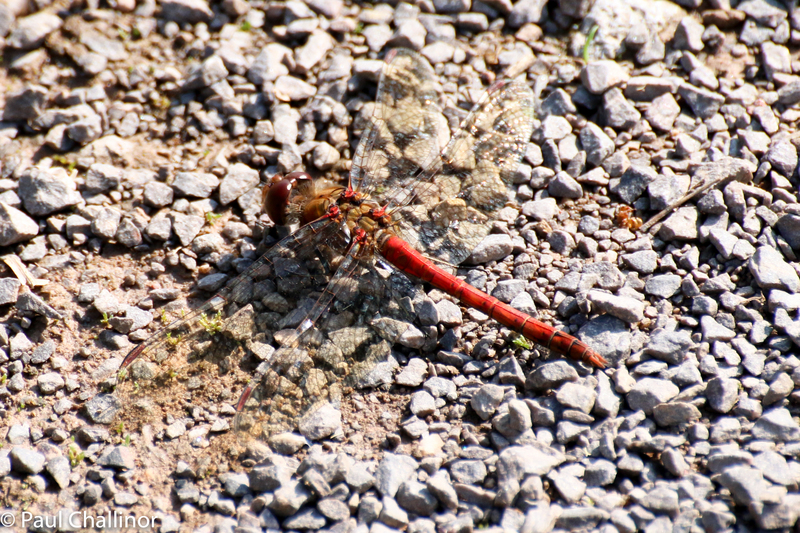 Common Darter. There were plenty of these sunning themselves along the paths. 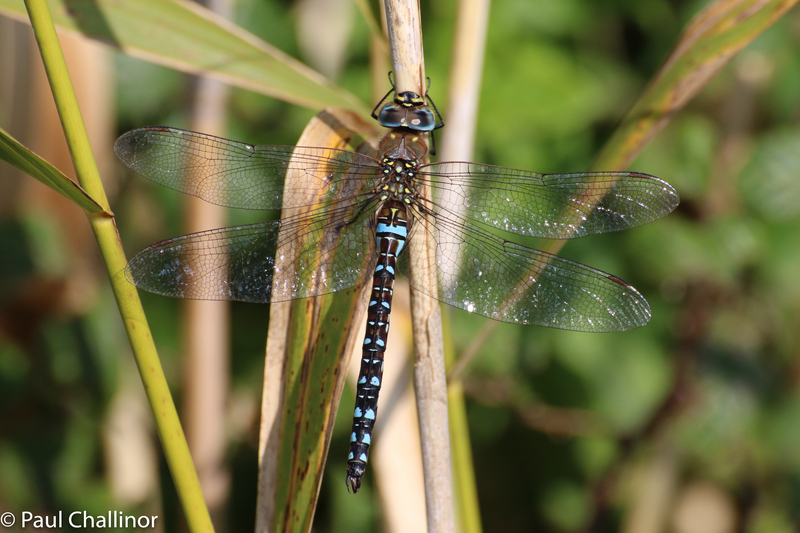 A new one for me – Migrant Hawker. Beautiful by any name. 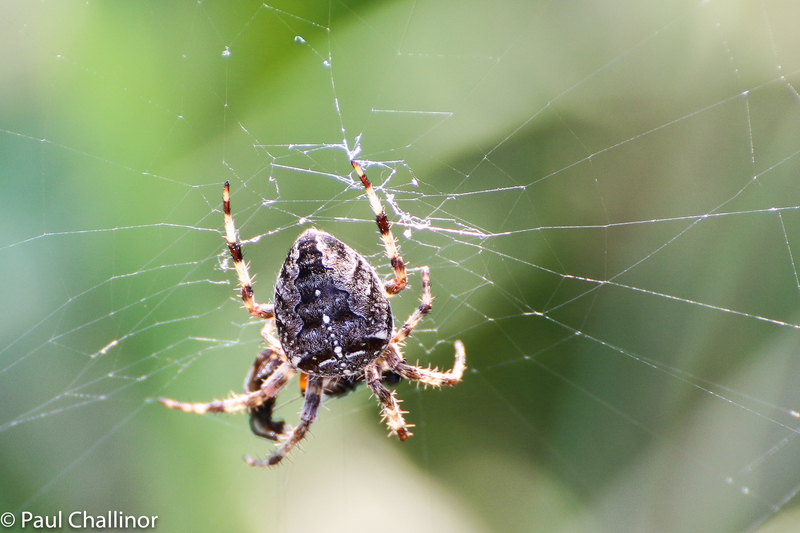 Araneus diadematus – a common orb web spider that I think almost everyone is familiar with at this time of year. 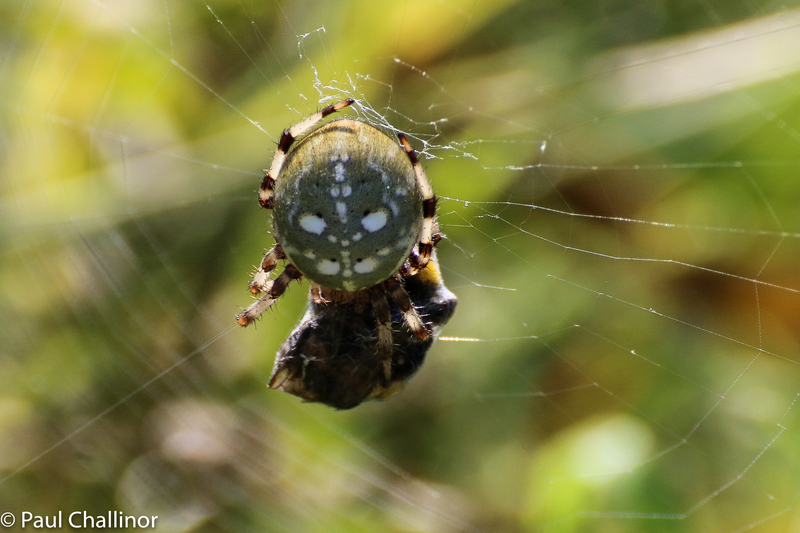 Another new one – Araneus quadrates. This is quite a big girl and I estimate she was about 10mm across. Nice selection Paul. If the injury list gets much longer you have more time to pursue insects than we might hope. The rugby was heartbreaking. By my reckoning after another 4 games there will only be 18 fit players left! I wander how fast it’s possible to run with a Zimmer frame!